Hegmann Transit GmbH & Co. KG from Sonsbeck in Germany, partner of the Bigmove group, has extended their fleet with a large number of Nooteboom low-loaders and Manoovr semi low-loaders. Hegmann already has dozens of Nooteboom trailers. These latest additions are specifically intended to be used for the transport of heavy machinery. 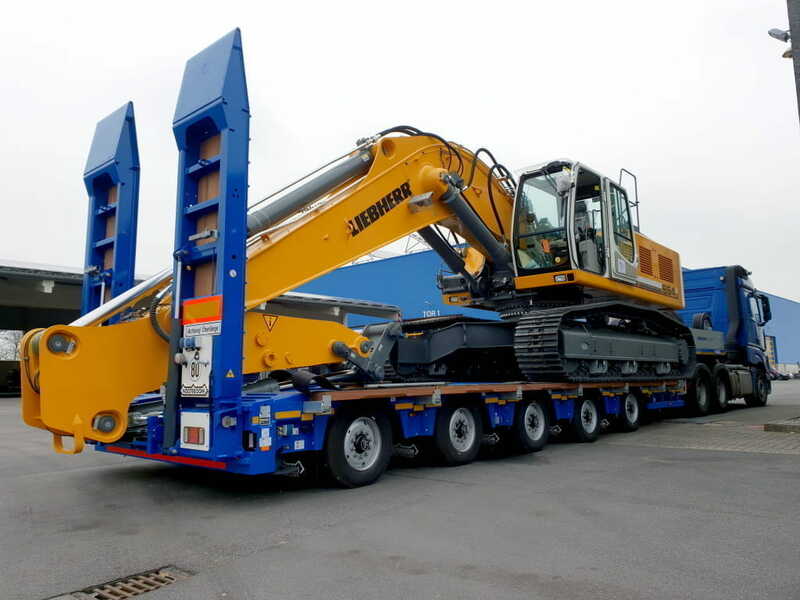 The investment consists of various vehicles, including several 4-axle EURO-PX low-loaders with 2-axle Interdolly, type EURO-95-24ICP and 5-axle Manoovr extendible semi low-loaders, type MPL-85-05(V) with excavator trough and 80-tonne ramps. For Hegmann it is the first time they invest in the Manoovr semi low-loaders. The important economic advantages the Manoovr semi low-loader offers Hegmann were the basis for this significant investment in the Manoovr semi low-loaders. 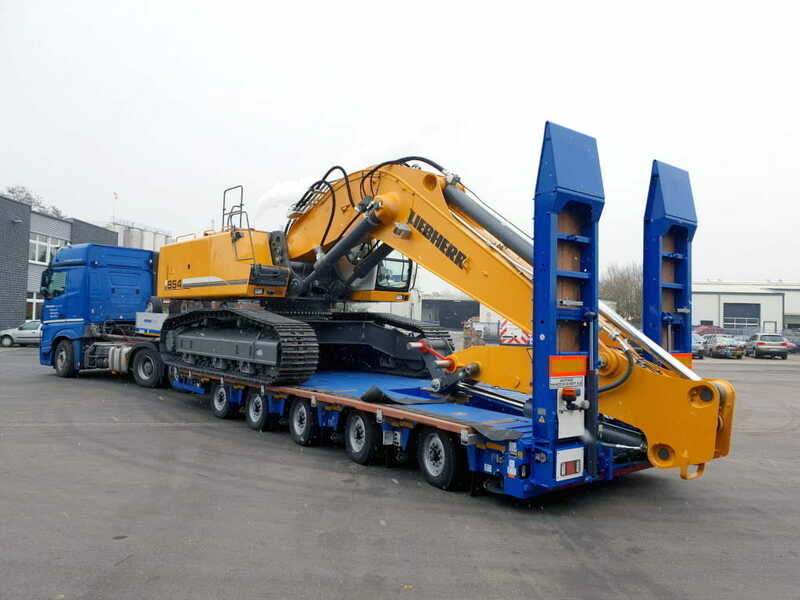 The combination of the extremely low load floor of the Manoovr with excavator trough and special 80-tonne ramps makes it possible for Hegmann to transport most of the heavy construction machinery with this semi low-loader, where before they had to use a 2bed4 low-loader. In addition to the lower purchase price and the extremely high load capacity these Manoovr semi loaders also offer important advantages when it comes to exemptions, manoeuvrability and transport efficiency due to their shorter combination length. 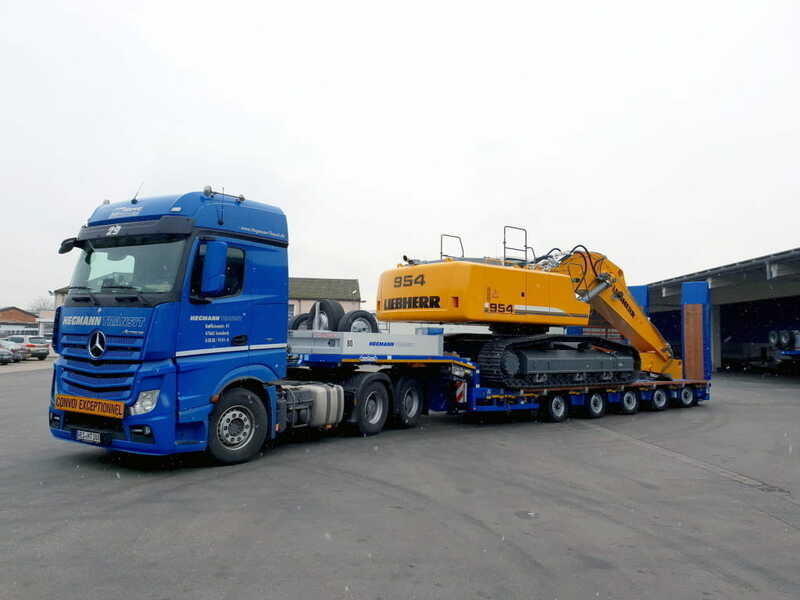 And the construction machines that are too high for the MPL semi low-loader can be transported with the EURO-PX low-loaders. At the coming BAUMA, taking place in Munich from 8 to 14 April 2019, the Manoovr of Hegmann will be one of the eye-catching exhibits at the Nooteboom stand FN721-10.